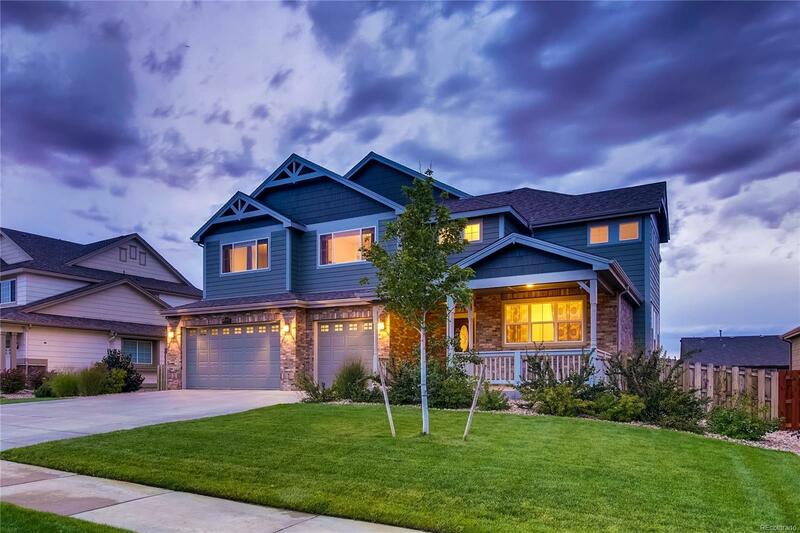 Beautiful Lennar Home in Beacon Point, Cherry Creek Schools. 6 Bedroom/ 5 Bathroom with additional large storage areas and 3 car garage. Professionally finished Walk-out Basement with Wet-Bar (ideal for Mother-in-Law suite or multi-generational home). South Facing, Not a "pass through street". One street over from trail and reservoir access (Beacon Point homeowners, walk right in!). Master with en-suite, vaulted ceiling, and reservoir views. Kitchen/ Family room/ eat in nook = All Open with Reservoir views. Covered patio, additional, Walk-out patio with flat & fenced yard, easily maintained. Community Pool with slide and tennis courts.